Shinola's hotel project is breaking ground this week. The 130+ room boutique hotel on Woodward Avenue is sure to dazzle and bring another awesome anchor property to the world's very first paved road (yup, that would be Woodward). All eyes will be on this block as they turn the plans into reality. Tick Tock Shinola, we're waiting for the big reveal! Todd Sachse talks 2017, and it's good news. 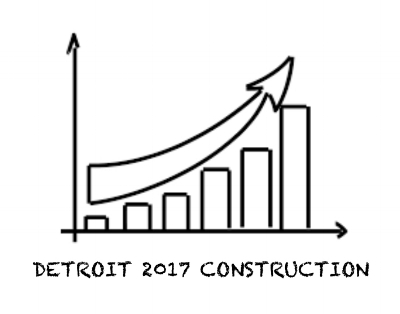 More positivity regarding the outlook for 2017 construction projects in Detroit from the CEO os Sachse Construction. Another Detroit visionary details projects and progression on the horizon for The D.
As featured in Architectural Digest, DETROIT has been named UNESCO's first American City of Design, an honor that recognizes a city's design legacy and commitment to promote cultural and creative industries. The city has been lauded as of late for its cultural renaissance (including by Architectural Digest), with companies like Shinola and a slew of new hotels, restaurants, and galleries returning focus to a city that was once the epicenter of American industrialism. 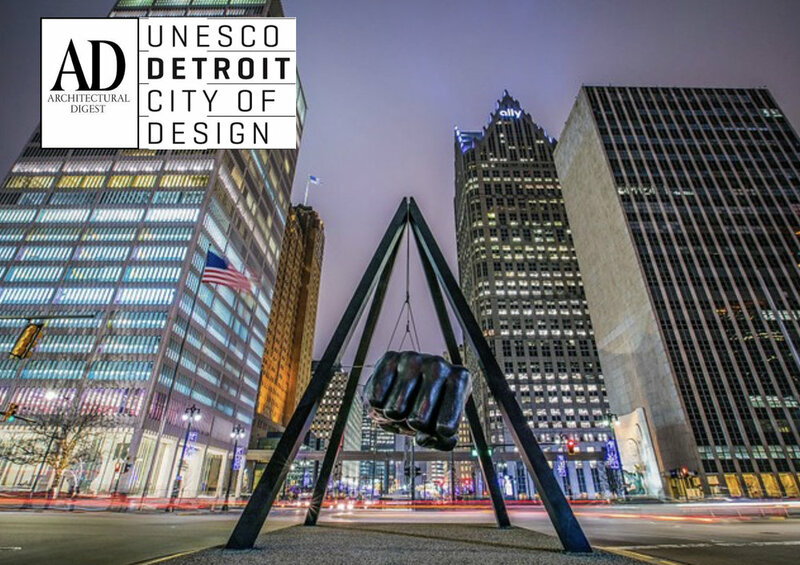 A pride of place and a dedication to upholding this reputation make the future bright for Detroit—no doubt it will more than live up to UNESCO’s standards. One of the amazing things about Detroit is discovering the massive collection of art hiding in unexpected places. We're not talking about canvases or sculptures, but rather the art in space, in design, in architecture. It's everywhere. Simply walking in to one of the city's many buildings can reveal candy for the eyes - like this cool bank of elevators in a lobby on Cadillac Square. Perfection. A comeback story of a lifetime"
Michigan built Camaro takes 2016 Motor Trend Car of the Year Award. The 2016 Chevrolet Camaro beat out some seriously steep competition this year to reign as Motor Trend's 'Car of the Year'. Finalists included Audi TT, Mazda MX-5 Miata, Mercedes AMG GT S, BMW 7 Series, Toyota Mirai and the latest Honda Civic. Six categories of evaluation were undertaken by a team of nine judges: advancement in design, engineering excellence, safety, efficiency, value, and performance of intended function. A big win for one The Big 3, this totally bitchin' muscle car is proof that the US automobile industry is still a force to be reckoned with.